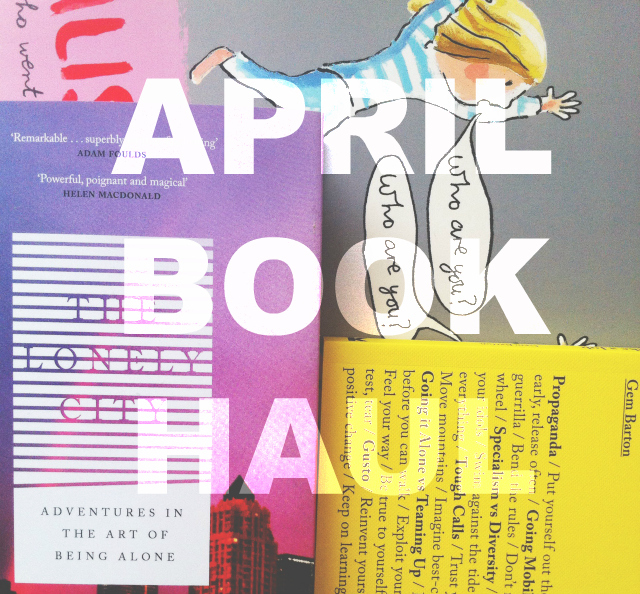 'My book hauls have been pretty thin on the ground so far this year', she says knowing full well that she has already managed to acquire 6 books towards next month's book haul. Oops. I picked up 3 new books during the month of April: one for a readathon, one for inspiration, and another from the publisher. As ever, you're encouraged to share your new purchases in the comments or via a tweet. What does it mean to be lonely? How do we live, if we're not intimately engaged with another human being? How do we connect with other people? 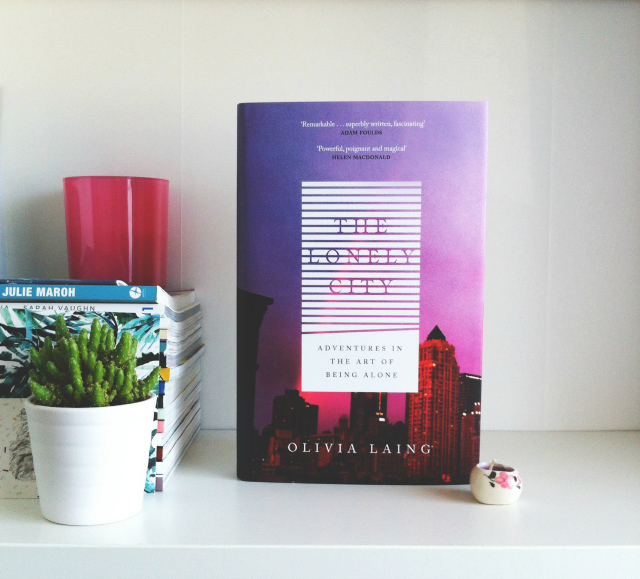 When Olivia Laing moved to New York City in her mid-thirties, she found herself inhabiting loneliness on a daily basis. Fascinated by the experience, she began to explore the lonely city by way of art [...] Laing conducts an electric, dazzling investigation into what it means to be alone, illuminating not only the causes of loneliness but also how it might be resisted and redeemed [...] The Lonely City is about the spaces between people and the things that draw them together, about sexuality, mortality and the magical possibilities of art. It's a celebration of a strange and lovely state, adrift from the continent of human experience, but intrinsic to the very act of being alive. I needed this book for my #Bookbuddyathon TBR so I bought it pretty promptly. I am so into this cover despite its relative simplicity. I'm all for a purple gradient, me. I spend a lot of my time alone these days, staring blankly into the void, so I'm hoping this'll be quite an insightful and relevant read. 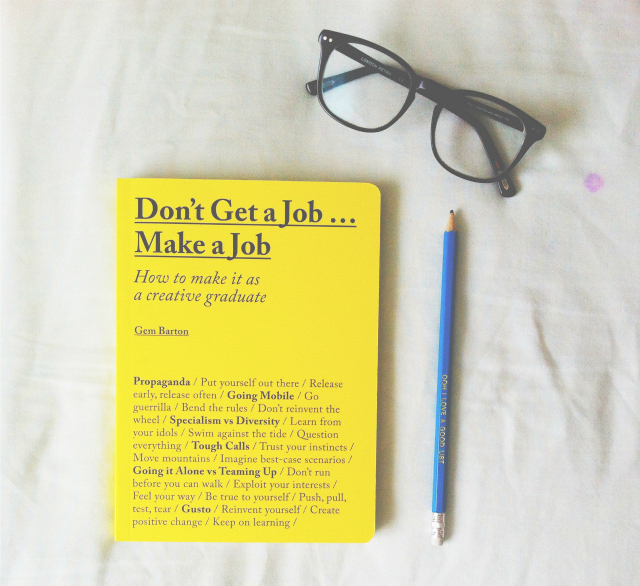 The book celebrates the various strategies that students and graduates are taking to gain exposure, while also including interviews and inspirational advice from those who are now enjoying success as a result of their creative approach to employment. I tend to use Twitter 'likes' as a bookmarking system so the other day I decided to go through them and check out a few articles I'd stored away, and one of them talked at length about this book. I get the impression it leans more toward design degrees, as opposed to creative writing and such, but it'll be interesting to read through the case studies nonetheless. 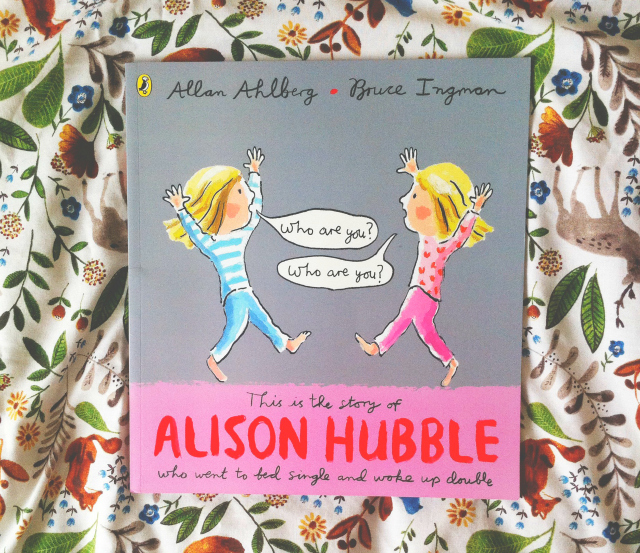 Alison Hubble is shocked when she wakes up to find a twin in the bed next to her. And she keeps doubling...and doubling...and doubling! Puffin Books sent me this book for review out of the blue and I read it as soon as I opened it. More on what I thought about it in my April Book Reviews which will be up in a fortnight but spoiler alert I bloody loved it! I'm all for a good rhyming tale and this one hit the spot.